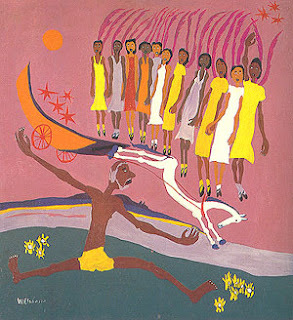 I was first exposed to the art of William H. Johnson in a graduate seminar on the Harlem Renaissance. It was a great class taught by Prof. John Wright at the University of Minnesota. I'm not always sure why I'm drawn to certain works of art or why they move me, but I crave this painting sometimes.